Basis of Verification: Programming Manual from customer(Programmierung_Melexis.docx), according to understanding and analysis of the PTC-04 programmer and MLX91206 chip datasheet, mainly based on the analysis of the programmer and the chip's official manual, application and other documents. Method of Verification: Compare the data produced by manual programming with the data from auto-programming, and the following screenshot will be described in detail. Read the content of EEPROM from the chip to Image, mean read the default setting and content of the chip. Copy the image data to a temp area. According to the programming manual from customer, here need modify 2 parameters, (RoughGain and FineGain), per the below screenshot, the default value is 4&651, not same as the customer requirements. Need change to 3&789. And here only Temp area are enable to modify, but the Image is disable. 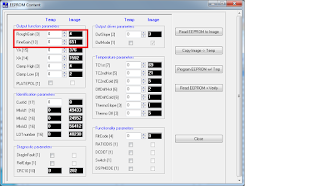 Programming the modified parameters into the EPROM of chip. 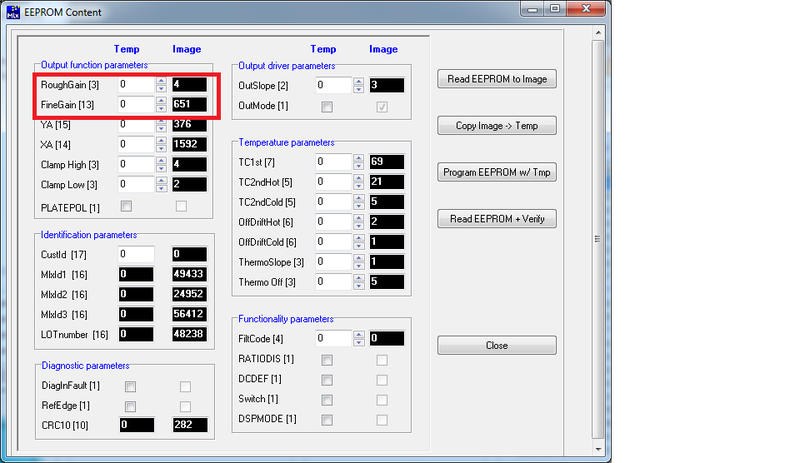 Read the values which was written by step 3.4 from the EEPROM and also compare with Temp. The whole process is same as the manual programming, the only difference is to use the software to call the API function, and instead of the click and type actions manually. Principle of Verification: Use the manual programming method to check the actual data from EPROM chip which was already programming by Auto-programming. After verification, the key parameters are the same as the manual programming method, such as RoughGain and FineGain. Of course, the best way is through functional verification. Copyright©colinzhang.net . Awesome Inc. theme. Powered by Blogger.